Summer season is mostly known as a season when everyone just wishes to have a lot of fun with cold water! Water showers and bath just help us to keep bodies so we feel less hot in summers and! 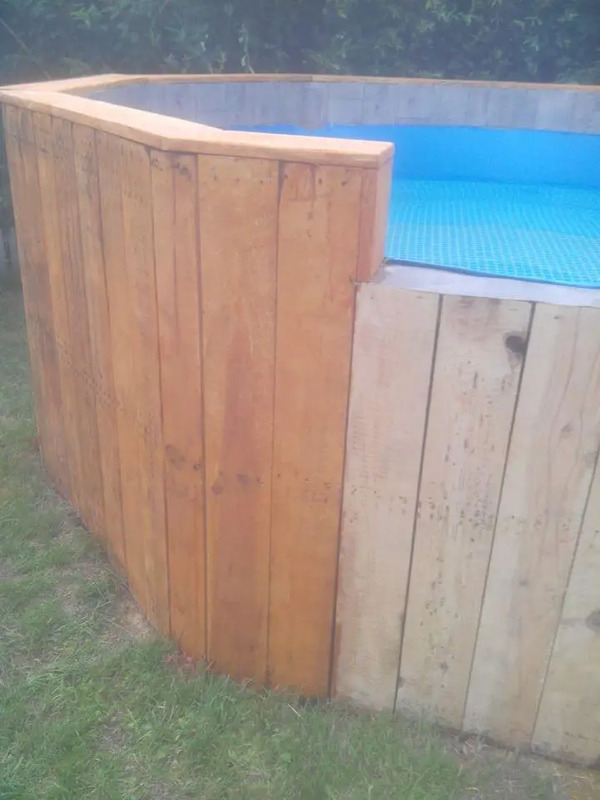 We are sharing here the DIY pallet swimming pool instructions, if you follow them you will just find it all easy to install a lovely pool at home at your favorite outdoor location! First thing you need is to decide the size of the pool, as here it is going to be round to decide the diameter and circumference, after configuring out the right measurements, draw the circle on the ground with radius according to construction plan, now just follow the circular line the keep one digging the ground, just at the same time also keep it continues to add the pallets to dug area, this will install the primary circular swimming pool boundary or robust fence wall for you! Level up the inside floor and just make the interior waterproof for a water fill! 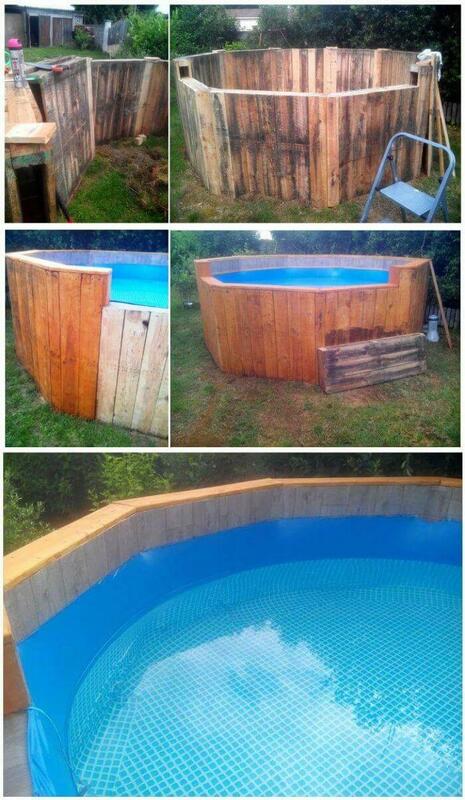 Install your hardware an just enjoy your time by diving deep into this pallet swimming pool with your friends or family! 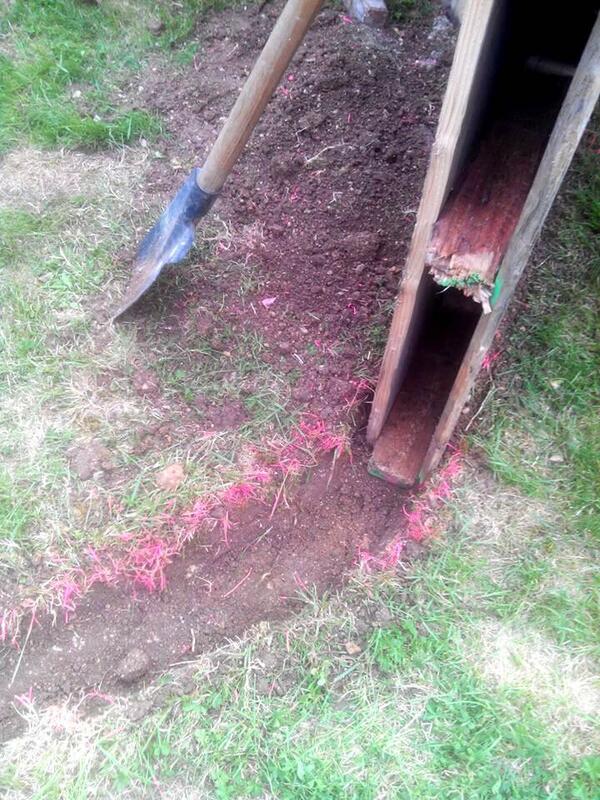 Dig the targeted space, probably you have marked with line or chalk, just make the ground a little deep to give a bit more grip to bottoms of pallets which are to stand here vertically inside the dug space! 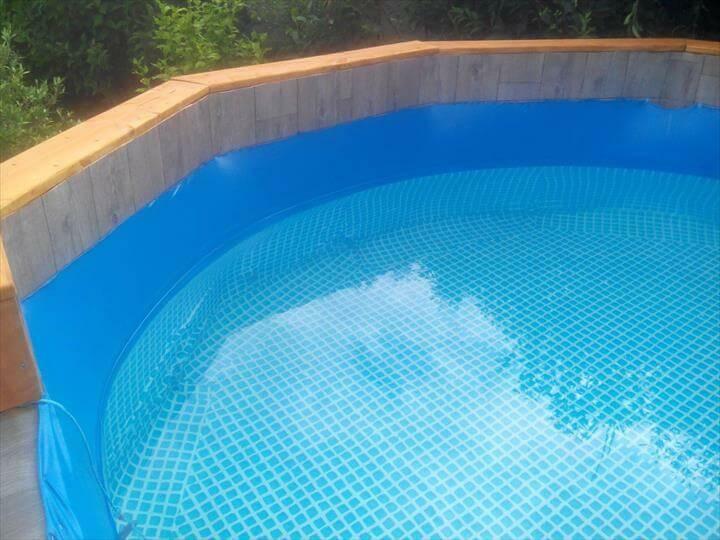 Build the rough pallet boards or the pre-fabricated panels for your targeted hexa or octagonal or so on, round shape of your swimming pool, lasting joints has been to created here to make the round pool fence or wall live last! 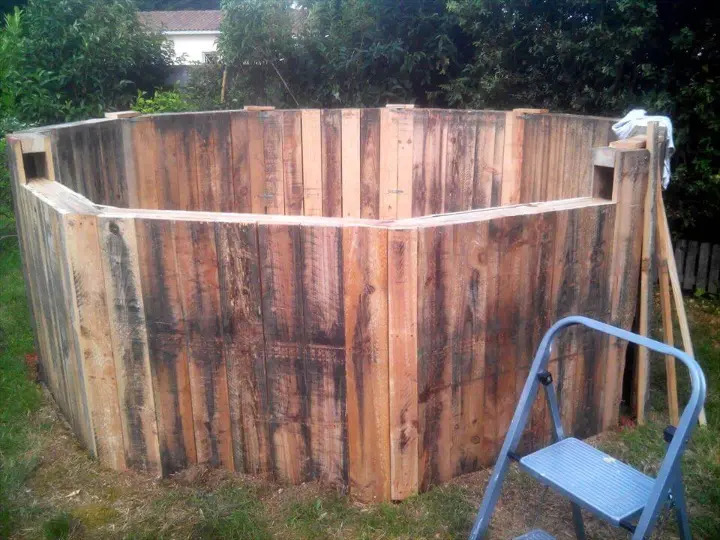 Make the fittings neat and just drag the dug soil again to bottom sides of pallets so they can be more tightly held there in the ground surface! 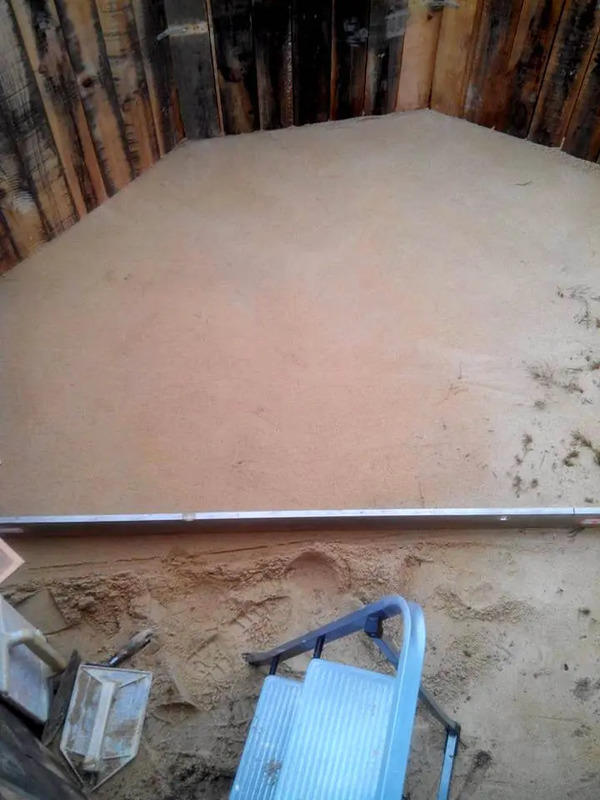 Install interior concrete floor or use other options you may like to install a flat pool bottom, just keep on leveling the floor as it is a demand here for elegant pool construction! 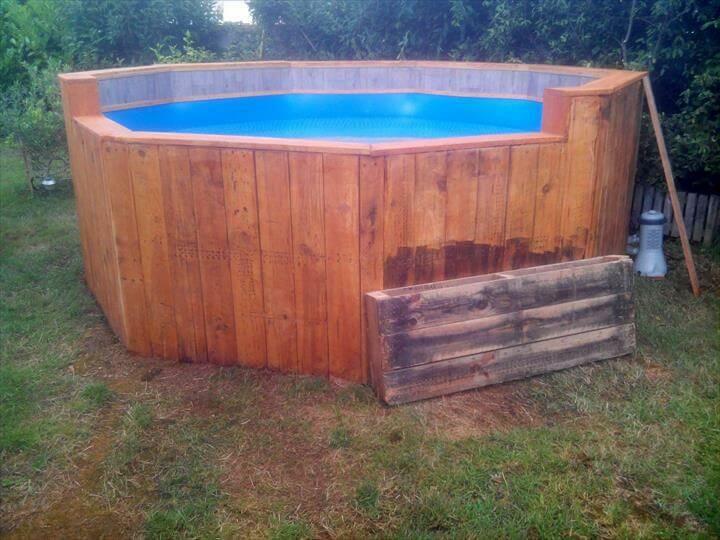 This is what you have to achieve using modified or refilled pallet boards, gained as units for round swimming pool wall, use more wood where needed to gained a solid filled appearance of the pool! 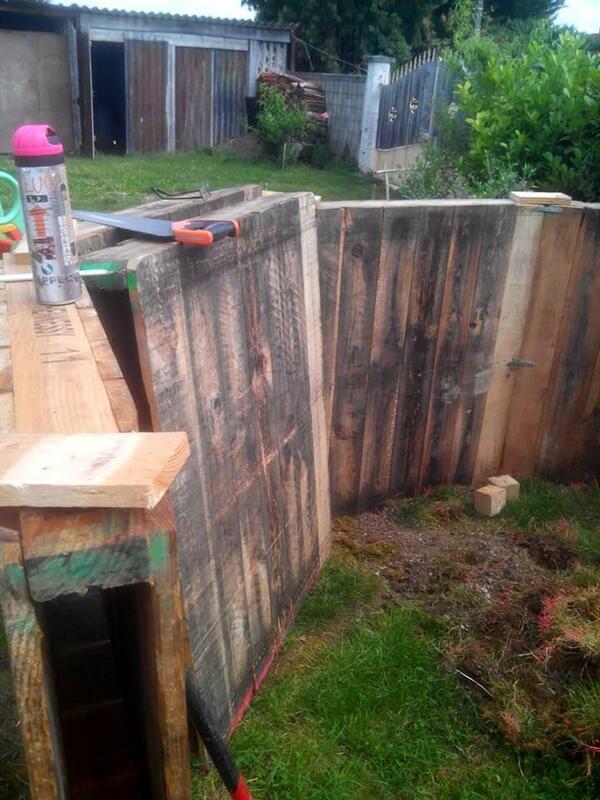 Cover the upper area of wall also using flat pieces of pallets! 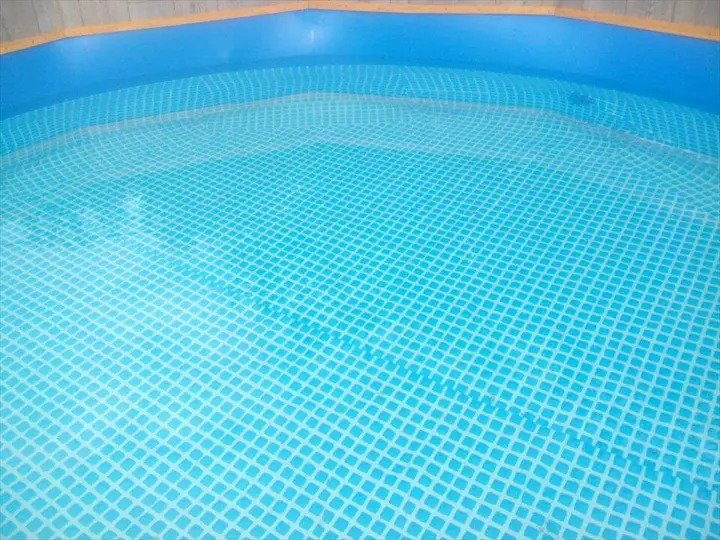 Now make the entire interior perfectly water proof, a little leakage would not be allowed here, so get the pool fabric from market as here has been got in charming blue color and just spread it over the pool walls and pool bottom, remove the creases, make the fabric perfectly stretched and just secure the edges of it! Just arrange a water pump nearby for fresh water fill each time you are to dive into it, so you can feel all fresh and cold during the summer season! 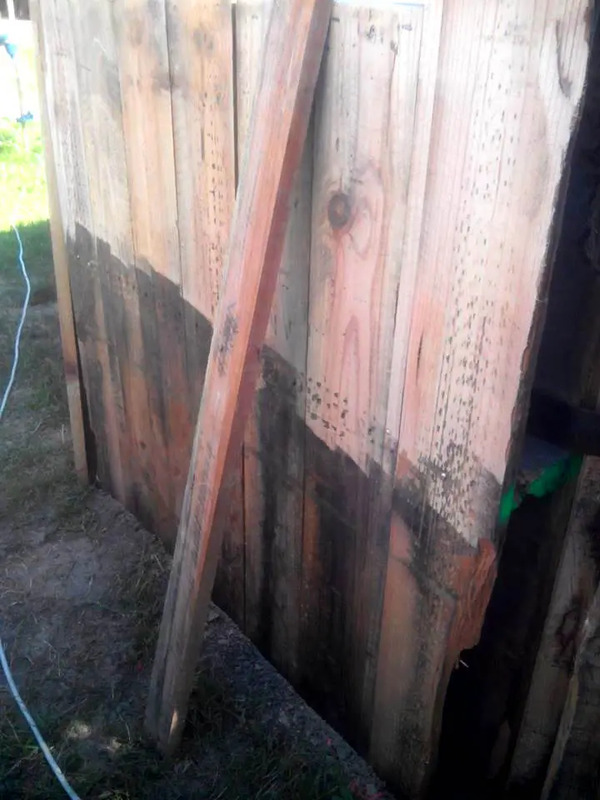 You can do something to make the bottom a little rough so it would not be slippery for the children, here you can see the perfect lattice overlay doing a great job in this case! 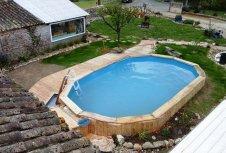 Install the stairs for easy reach to diving point and try to build a little deck also where enjoy the conversation by putting some loungers theirs!